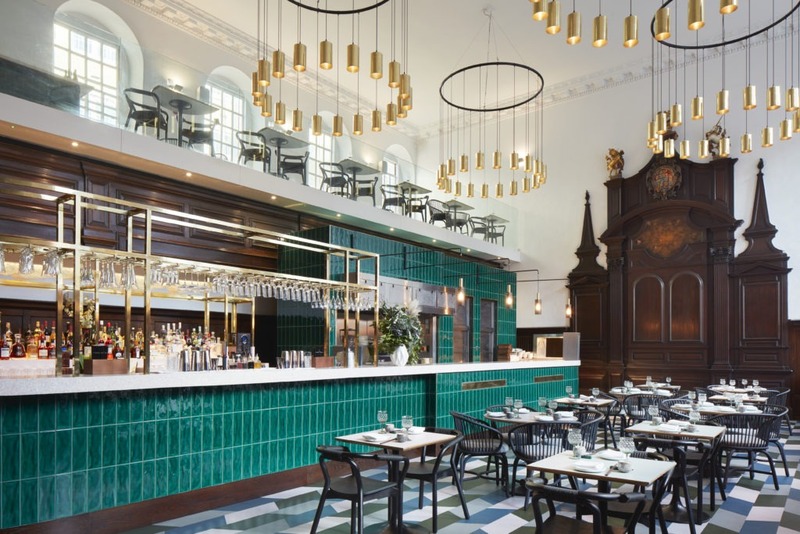 Duddell’s, a most exciting Chinese restaurant which has established its roots on London’s dining scene, is easy to find – just look for The Shard and walk 50 yards, it sits minutes from Borough Market right in the heart of London Bridge. The restaurant is located in a deconsecrated church, the historic St. Thomas was built in the style of Queen Anne architecture and it hosts edgy, fun art which dominates the main wall. 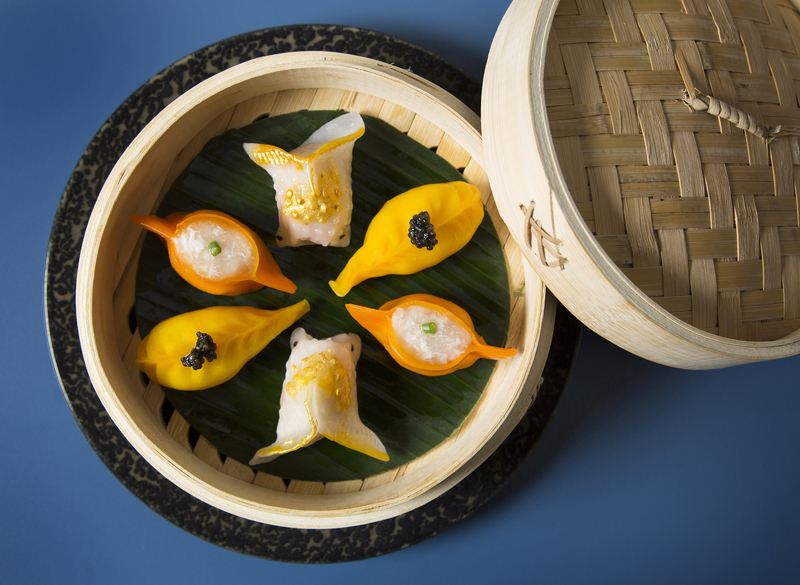 Duddell’s showcases the highest grade authentic Cantonese cuisine greatly complementing the Michelin-starred sister restaurant in Hong Kong. 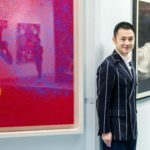 The restaurant’s character and influence is inspired by the traditional Hong Kong tea restaurant. For Dim Sum lovers the 22 choices are heaven, and are either steamed, baked or fried. The A La Carte menu is another 10 pages of foodie delight. The Dim Sum menu is abundant with delicious traditional treats, including, porcini prawn dumplings, chicken and glutinous rice in lotus wrap, crispy char siu bun, Mongolian Wagyu puff, crispy prawn and mango roll, truffle spring roll, beef and foie gras on toast and pan fried dried shrimp cheung fun. This is a wonderful highlight of some of Duddell’s outstanding Dim Sum. The chef’s recommendations highlight the quality and depth of this very special Cantonese treat. The Double boiled matsutake soup with sea whelk, chicken and baby cabbage, truffle roasted black cod with lily bulb, and nameko mushroom, abalone rice with shimeji mushroom and asparagus are all exceptional. The appetisers that stand out include crispy hawthorn pork neck with cashew nut, Truffle spring roll and spicy almond soft shell crab. 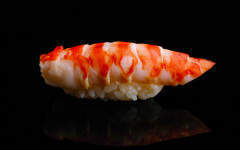 The sea food is challenging as the choices are so excellent, the stand-outs are the peppered spicy black cod, the bamboo steamed halibut, the charred spring onion and soy or the prawn with bottarga chilli sauce. Who can resist Cointreau Berkshire pork, styled as a sweet and sour dish, or martell black pepper beef or maybe the truffle chicken casserole, eringii mushroom and wild yam. 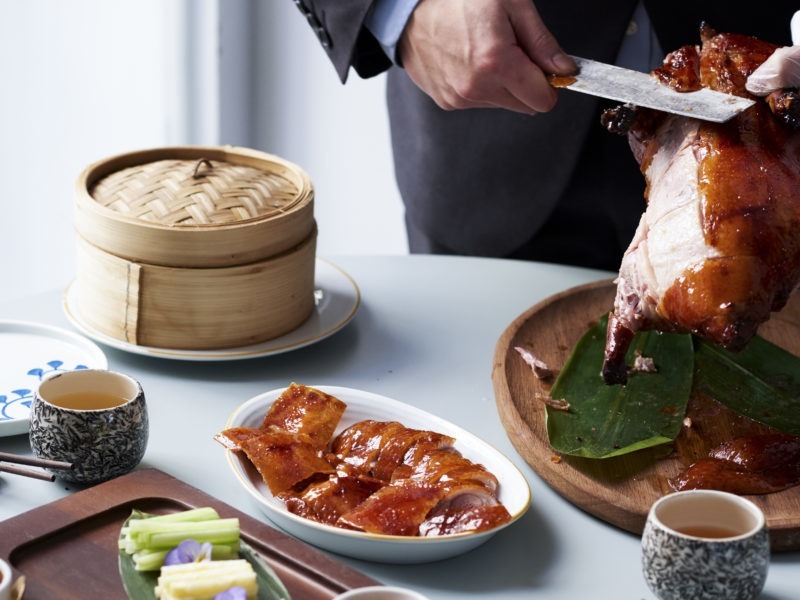 Naturally Duddell’s Peking Duck is the emperor of the a la carte menu. It is a gastronomic treat and not to be missed! The beautifully sliced duck with its crispy skin is served with 8 different types of condiments and is moist, firm and absolutely delicious. Every mouthful is to be savoured. The choice of complimentary vegetables is mouth-watering, stir fried baby pak choi in garlic, braised bean curd with morel mushroom in supreme stock or stir fried kai lan with minced chicken in spicy shrimp sauce. No Cantonese meal is eaten without rice and noodles and the choices are again so special and traditional, egg fried rice with spring onion, steamed jasmine rice, wok fried seafood vermicelli, Hong Kong style and Cantonese soya noodle. The Duddell’s gastronomic experience is concluded with more exceptional specialities, chilled mango cream, shaved ice, sago, pink grapefruit and mango sorbet, muscovado banana ma lai gou, caramelised banana, rum ice cream or smoked pecan tart Guanaja 70 per cent ganache, cocoa nib ice cream, smoked pecan brittle . To round it off, the cocktails are splendid with an extensive choice of plantation teas. 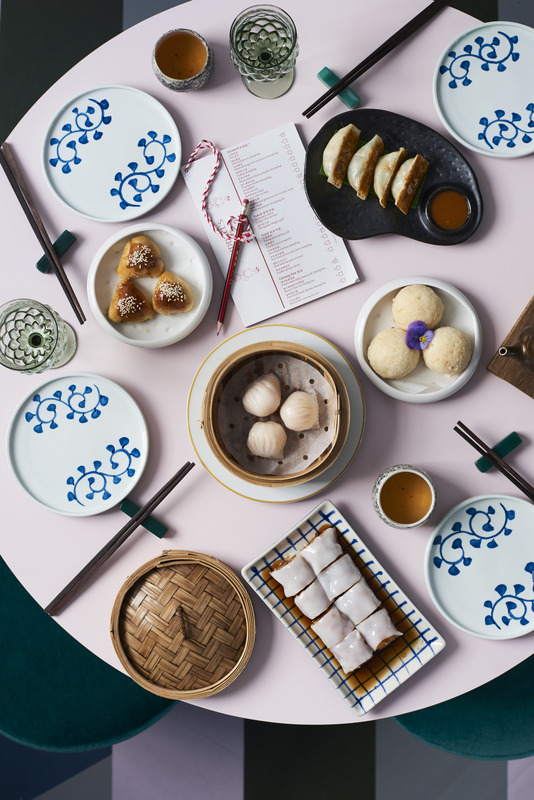 Duddell’s with its outstanding Cantonese cuisine and very attentive waiters, is without doubt a new star on the London foodie scene, challenging the very best Chinese restaurants in town.